Maintaining a healthy body is a top priority of almost everyone. Although we have a pretty good immune system which guards us against foreign invaders, there is no harm in taking steps for strengthening our immunity. Scientists have been researching effective ways to boost the immune system. Even though they haven’t found anything concrete which has direct link to stronger immune system, they have talked about the effects of our diet and lifestyle on this system. Yogurt has healthy bacteria which are known to keep your digestive system safe from germs which may cause diseases. A lot of people overlook the benefits of such organic foods and instead opt for immune system boosting pills, which does only half of the work as they contain artificial ingredients. A daily 7 to 8 ounce serving of yogurt is more than enough to help strengthen your immune system. People who use garlic regularly in their diet are less likely to catch a cold. Due to its active ingredient allicin, garlic is quite efficient in protecting the body from germs and bacteria. Some studies have also showed that garlic can help reduce the chances of various forms of cancer by 30 to 50%. Just make sure to use garlic in your cooking as much as possible and you won’t have to worry about getting sick. The main ingredient found in all citrus fruit is Vitamin C which is known to fight bacteria and increase the white blood cells in your body. Citrus is guaranteed to boost your immunity. Also if you are suffering from cold, the best remedy is to have a glass of freshly squeezed orange juice! These grains not only help boost the immune system but also improve the healing abilities of the body. Anything from shellfish, oysters to lobsters and crabs can help boost the production of white blood cells in the body which is great for the immune system. It is recommended that you take at least two servings of fish in a week. Fish contains omega-3 fats which is not only good for different body functions like respiratory, nervous, immune system etc but it also helps to reduce inflammation. These have been used for centuries for their medicinal properties. Mushrooms contain such enzymes which enhance the immunity by increasing the white blood cells in the body. Try to add mushrooms in your diet at least 2 to 3 times a week. Vegetables like spinach and broccoli are rich in vitamins especially Vitamin C and are a great fighters of germs and infections. Make sure to cook them as little as possible in order to preserve their nutrients. This spice has been used for centuries as it has extraordinary anti-inflammatory and healing properties. It has been used to treat ailments like arthritis and osteoarthritis. Also turmeric is very effective in fighting common colds. Teas, green or black both are rich in a number of antioxidants which help enhance the immune system and fight off harmful germs. Different researches have revealed that people who drink 4 to 5 cups daily have more resistance to various diseases and infections compared to those who don’t. These are rich in Vitamin E like most of the other nuts and strengthen the immunity of the body. Have at least half a cup of almonds daily and you will see a difference in your health in no time. Good old chicken soup is one of the best remedies to fight off common colds and enhance the immune system. It is quite beneficial for reducing inflammation and increase the production of white blood cells. Also the broth containing different spices along with onions and garlic help reduce mucus and boost the immune system. 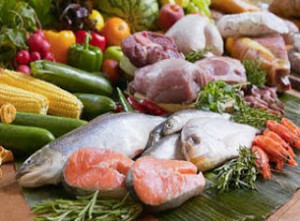 Try to have foods rich in vitamin A, B2, B6, C, D and E. Also zinc is a very important element which enhances the immunity. But make sure not to use it more than 15025 mg per day as it can also be harmful for your immune system.